Inspire current and future generations to manage and conserve natural resources by safely providing environmental learning and outdoor recreational opportunities that will promote lifelong stewardship while preserving Sheldon Lake Sate Park and Environmental Learning Center. Sheldon Lake State Park and Environmental Learning center provides outdoor recreational and educational opportunities for the people of Houston and surrounding areas. The park is free to the public, and open Sunday through Saturday from 8 am-5 pm. Established as a state park in 1984, Sheldon Lake State Park focuses on educating the community on the importance of environmental stewardship. Visitors are welcome to enjoy fishing, hiking, or participate in ranger led programs. 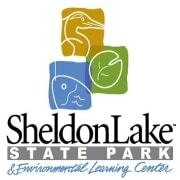 Would you recommend Sheldon Lake State Park and Environmental Learning Center?